Northwest National Real Estate: Sold! Unbelievable Views! It is almost like sitting on top of the world mesmerized by the spectacular views. 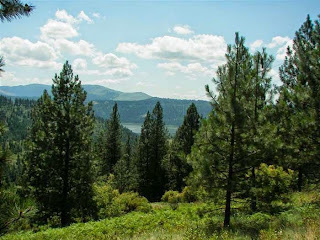 Hike or ATV into this 5 acre parcel. When you need to get away this is the place to go. Spend your vacation or weekends amongst the deer, elk and moose, not to mention the forever presence of chipmunks. Within 5 miles of St. Maries, Idaho as well as the St. Joe Valley. Priced at $10,500. Call St. Maries Realty at 208-245-4502 for more detailed information.